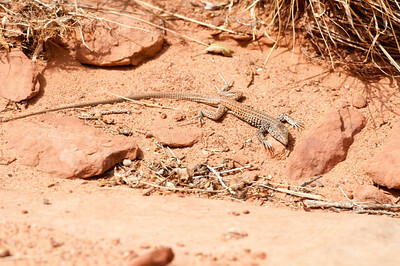 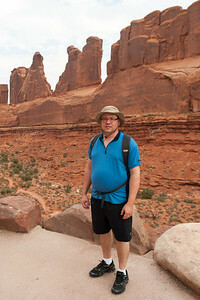 Peter and I returned to New Mexico from August 19-25, 2012. 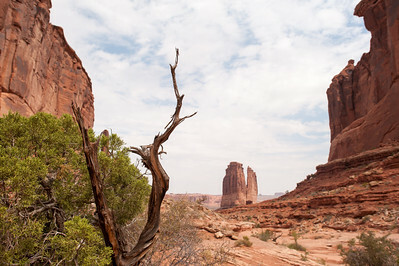 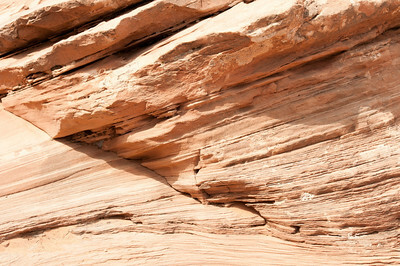 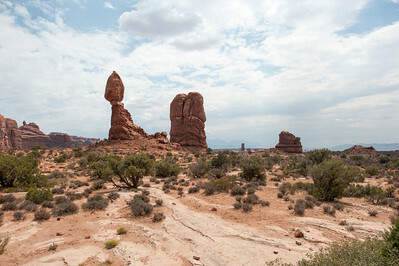 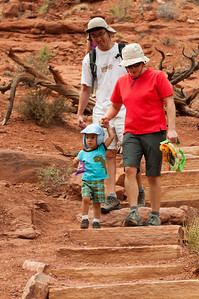 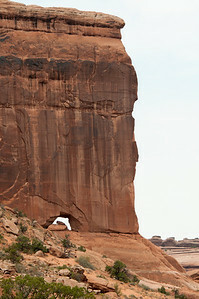 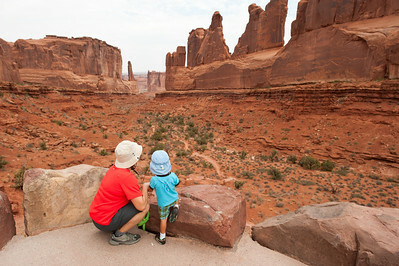 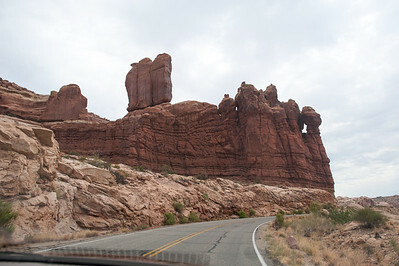 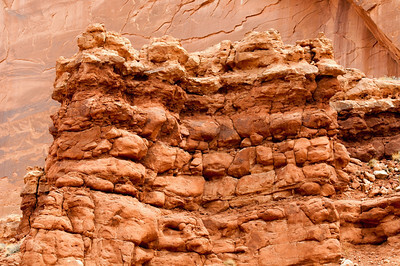 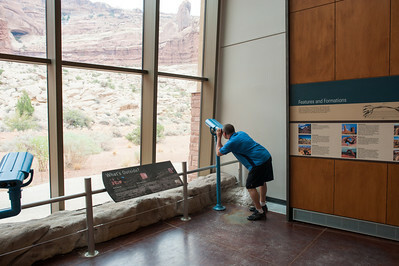 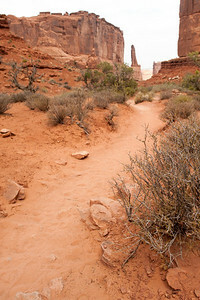 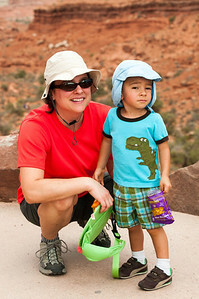 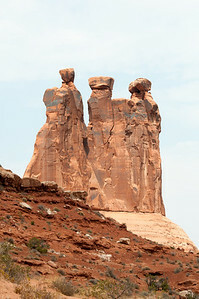 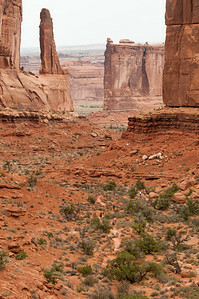 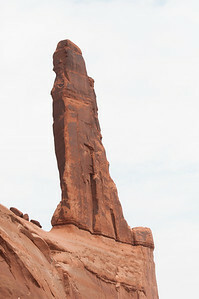 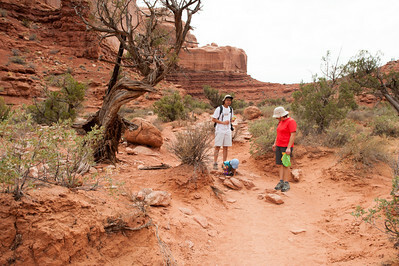 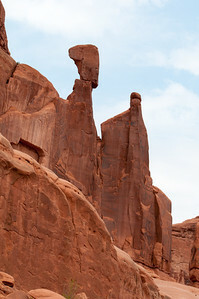 The first 3 nights were spent in Moab, Utah so that we could visit Arches National Park and Canyonlands. 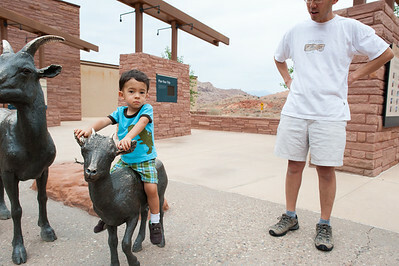 We went directly to Moab from the Albuquerque airport. 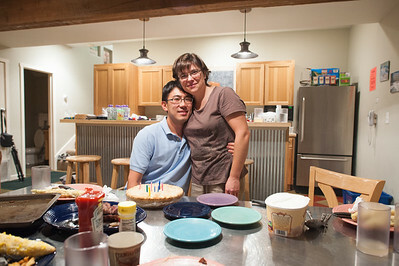 And just like last year, we arrived on John's birthday. 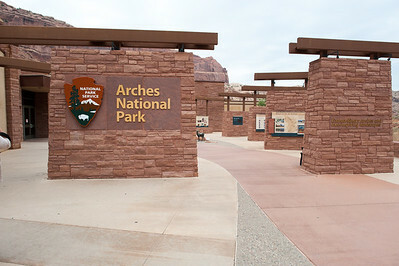 Off to Arches National Park! 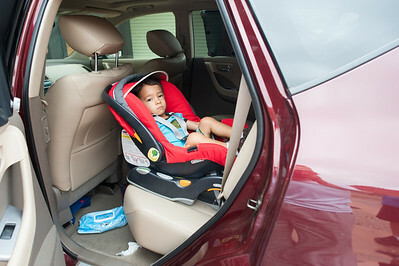 This is why adults have back problems. 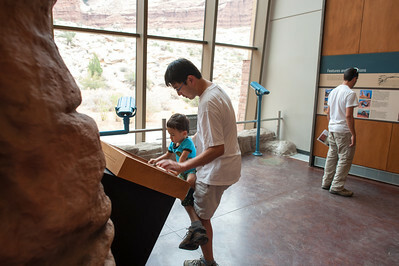 Budding geologist? 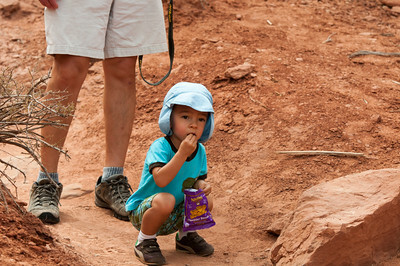 Or lost cheddar bunny?